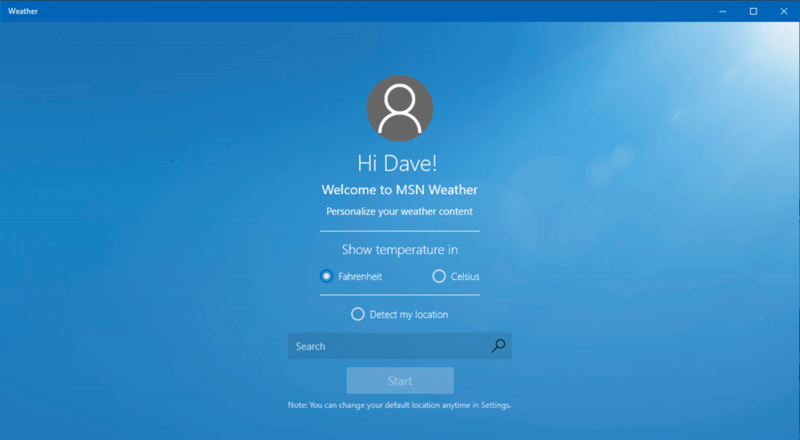 / Set Windows 10 Weather to the Correct Location? Set Windows 10 Weather to the Correct Location? 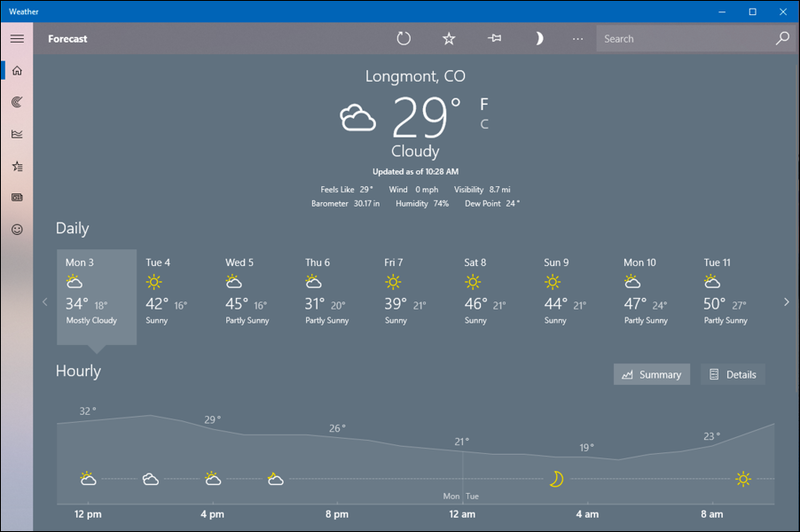 I just noticed that on my new Windows computer, it’s showing me the weather in Seattle, Washington, not my home town of Oklahoma City. That’s useless! How do I fix it so I get weather for my city? Different operating systems seem to default to different locations when their weather app doesn’t know your actual location. That can also be stymied by using a Virtual Private Network (VPN) like my favorite, ExpressVPN, which effectively spoofs your location to pretend you’re somewhere else in the world for privacy and security purposes. On my Mac systems and iPhone, the default weather location is Sunnyvale, California, the headquarters of Apple Computer. On my Windows system, however, the default location for weather on my computer is actually Washington, D.C., not Seattle. Not sure why we’d see different cities, but the good news is that it doesn’t really matter because the fix is the same either way. There ya go, the weather in Washington D.C. looks pretty nice at 56F and sunny. But, um, I’m not in Washington. My computer really wants to ensure that I know about the weather in Washington. So let’s fix it! You can see the simple setting for Fahrenheit or Celsius, but more importantly, you can see the search box for entering a city. In fact, you can specify any city in the world for your weather forecasts, completely independent of your location. Or, do what I do and check the circle adjacent to “Detect my location“. Hope that helps you get everything set up for Oklahoma City on your PC! Has anyone fixed this issue yet? I’ve set the city and set it to default.. I’ve told it to check my location, I’ve rebooted, disabled, re-enabled.. Taken the weather off the lock screen etc etc. It will not change. Start menu and lock screen show Washington DC. I’ve been working on this for months. It’s really the principle now. I’ve searched the forums, the MCSE sites etc etc.. Seems a bunch of people have this issue and have not been able to resolve it. Like Michael, I too have the same issue. The Weather application itself displays my location correctly, but the Start menu tile doesn’t. This is a new install from factory.. tried a number of methods suggested online, eg. uninstalling/reinstalling the application, registering and syncing the time server. I might just wait until the Windows 10 April 2019 feature update (v1903).. maybe that might either fix it or refresh/reinstall whatever isn’t functioning correctly.. here’s hoping. I wish your solution worked. It does not. While the full Windows weather app displays my location accurately, its Start menu tile does not. I am convinced that Microsoft uses the app to trick those who appreciate their privacy into revealing their address. Well, I’ve surrendered. I’ve given Microsoft my precise address in every setting I can find, but it’s not enough. Will you be so kind as to tell us how we can get the Start app to display weather for my city, and not Washington DC?